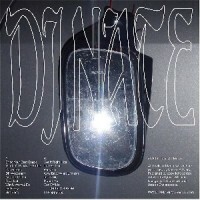 In an unexpected turn of events Planet Mu welcomes back DJ Nate for a new album "Take Off Mode", a full nine years after his debut album "Da Trak Genious" was released on the label. A quick update: DJ Nate is from the West Side of Chicago and was the label's first ever footwork signing back in 2010, when Myspace was still a place to contact artists. His strange, maximalist, trippy and sample-heavy sound was the acid test to introduce footwork to a wider audience, outside Chicago and certain aficianados, and it created the opportunity for Planet Mu to release the two "Bangs & Works" compilations and numerous albums and singles from the genre, introducing the world to such artists as DJ Rashad, Jlin and Traxman. In the decade since "Da Trak Genious" was released, DJ Nate has been a popular R&B and Hip Hop producer and performer with a strong local following.